Jones is author of the Eisner Award-winning Men of Tomorrow: Geeks, Gangsters, and the Birth of the Comic Book (2004); Killing Monsters: Why Children Need Fantasy, Superheroes and Make-Believe Violence (2002), and Honey I'm Home: Sitcoms Selling the American Dream (1993). Jones is co-author with Will Jacobs of The Beaver Papers (1983), The Comic Book Heroes (1985, 1996), and the com Gerard Jones is an award-winning American author and comic book writer. From 1987 to 2001, Jones wrote many comic books for Marvel Comics, DC Comics, Dark Horse Comics, Viz Media, Malibu Comics and other publishers; including Green Lantern, Justice League, Prime, Ultraforce, El Diablo, Wonder Man, Martian Manhunter, Elongated Man, The Shadow, Pokémon, and Batman. 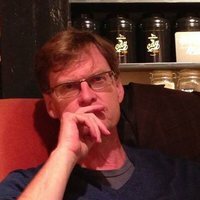 Gerard Jones isn't a Goodreads Author (yet), but he does have a blog, so here are some recent posts imported from his feed. Is this you? Let us know. If not, help out and invite Gerard to Goodreads.